S.T.A.L.K.E.R. returns to PC and this gem from Europe proved that you didn't need to be a software gaming giant to make quality first person shooter. Call of Pripyat is the next instalment from this series and follows the story of agent Alexander Degtyarev who has been sent into The Zone. To make matters worse for our hero, The Zone is a result of the Chernobyl nuclear disaster and his role is to investigate the mysterious disappearances of a number of military helicopters but the land is plagued by strange mutant-like creatures. 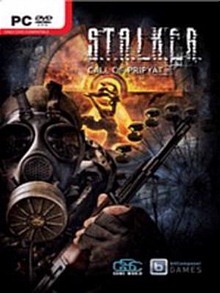 With a stronger story than the previous two games, the only issue we found of Call of Pripyat was that the conversion of the story to English which was a little choppy at best but thankfully the gameplay more than made up for this in this almost survival horror first person shooter with elements of RPG. 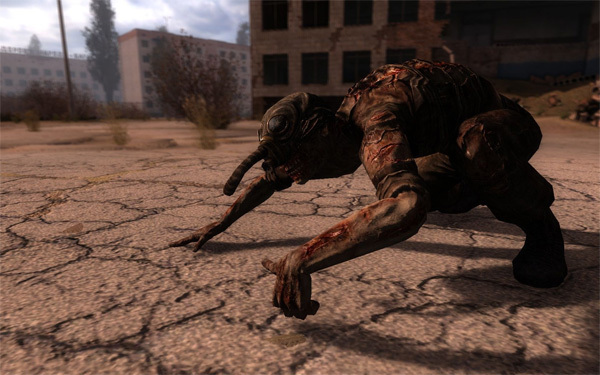 The post apocalyptic nature of the game goes a long way in making the gameplay enjoyable as you explore this devastated land caused by a nuclear disaster. It almost looks like you've walked into a Mad Max movie, although with a Easter European setting. The cities have long been deserted and strange mutant like creatures roam the lands which will give you more than just grief. Humans are also present but they have banded together in small groups against those effected by the radiation and are not as innocent as you hoped. Needless to say, the strange creatures that you encounter are quite bizarre and almost similar to Halflife in terms of scare tactics because your brain is trying to register something not normal in a relatively normal world, quite nefariously evil indeed. The AI in the game can be quite ferocious at times, especially some of the new creatures that have been included in the third instalment of the game such as the chimera who as Newt from Aliens said "they mostly come out at night... mostly" which had us jump on more than one occasion. All these strange mutant creatures have pros and cons and it's up to you as the gamer to figure our their Achilles heal but a round of bullets also helps. In terms of RPG, there is a decent trading system that allows you to purchase a variety of upgrades, weapons, repairs and items to assist you in finishing the title. Although you don't level in the game, it's the weapons and items that makes you more powerful. Of course, you need to go on quests and complete missions for NPC's and to make things a little bit more tricky, you need to monitor your items such as weapons and armour, so they don't fall apart. Besides worrying about enemies, you also need to make sure that your health is monitored, especially by avoiding radiation. Unfortunately help is quite limited in the game but at certain points in the game, you'll be travelling with other warriors who will provide some assistance to your encounters. Of course, not everything is perfect S.T.A.L.K.E.R. 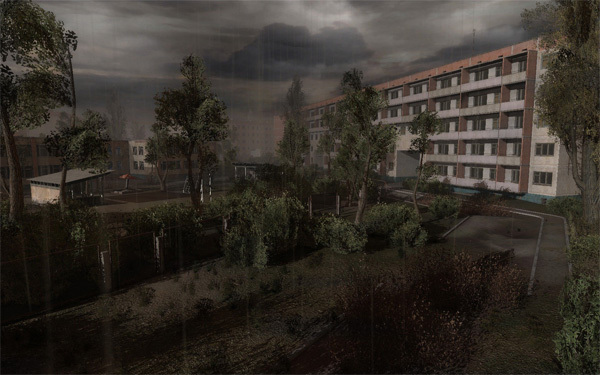 Call of Pripyat and the game is starting to show its age around the edges. Unlike some of the console first person shooter games where you sneak around and if your successful, you club your opponents unconscious. In this game, the AI have at times have unrealistic heightened senses that will cause you to swear profusely. On too many occasions, the AI had spotted me even before I spotted them. This does impede the gameplay but funny enough, even with these issues, the atmosphere of the title somehow makes it all fit together, especially with the side quests that you embark on and all the glorious weaponry on your journey. At times, the game is quite open-ended in where you can explore but sometimes, the game pulls you back to ensure that your objectives are met. Once you have completed the game and if you're up for another challenge, why not battle some online opponents. Even though the game offers the standard online options, it's very entertaining to play in this strange nuclear effect universe. Graphically, the title does look a little dated, even on the highest resolution with full detail. Don't get me wrong though, the game still looks good but it's not as snazzy as some of the games today but once again, the atmosphere of the title still managed to pull this over the victory line. The characters look good, even with the limited texture details and the special effects and lighting go hand in hand with the gameplay. The highlight for me is the backgrounds and of course the ambient sound effects that only assists in drawing you into this post apocalyptic world gone wrong. 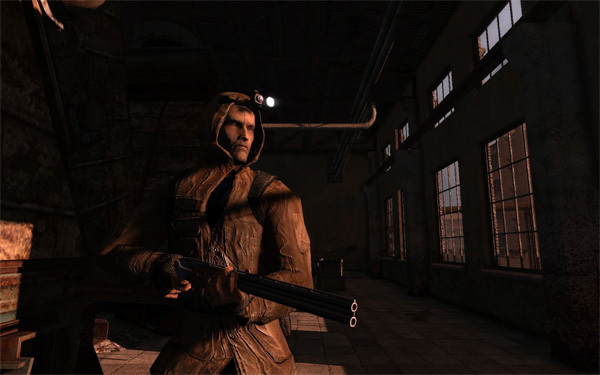 Compared to the two previous game, the developers have added a few improvements to the graphics such as better looking textures and animation. Just check out some of the screenshots, like the freak below! In conclusion, S.T.A.L.K.E.R Call of Pripyat is a fun first person shooter that features a very story driven game as opposed to its predecessors. The RPG exploration of the title is fun and it creates the illusion of freedom to the player, thanks to the varied quests. The control system is good and killing those nasties has never been better and best of all, the bugs have been ironed out from the previous games, so for us... there was no crashing at all. The first game was great, the second was so-so but the third game has definitely surpassed all before it, great stuff!